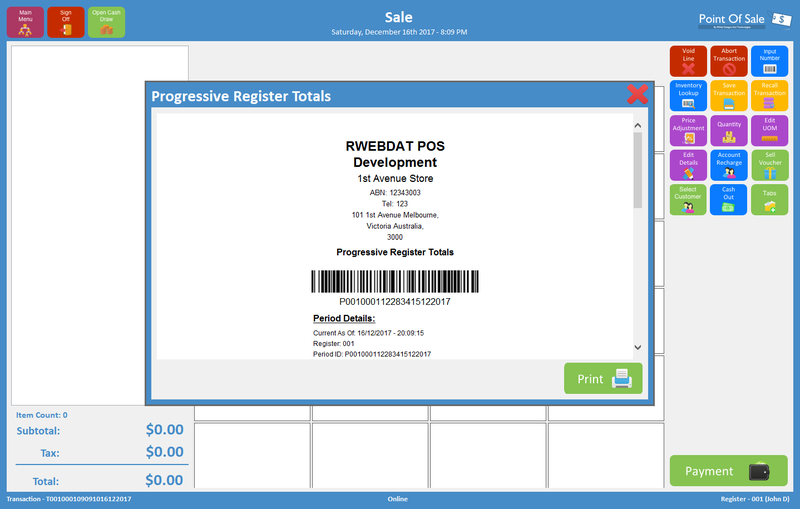 Users can keep track of the registers progressive totals by the “Progressive Register Totals” module. Go to the “Main Menu” and select the “Progressive Register Totals” button. The user will now be shown the totals and figures of the register for the active period. Users can print the progressive register totals by pressing the “Print” button. The progressive register totals will print from the POS receipt printer. Note progressive totals can only be viewed when the register is opened.